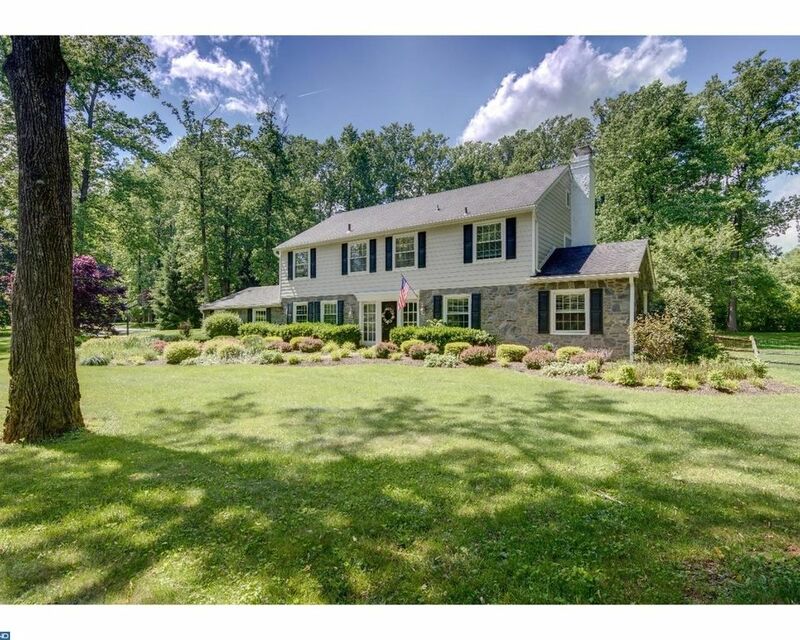 Charming updated colonial situated on the most beautiful flat 2.6 acre lot in sought after private neighborhood in Malvern, Tredyffrin Township. Custom features and details throughout with the charm of an older home. Exterior highlights include custom landscaping, a large fenced rear yard with exceptional grounds and gardens surrounding a beautiful in ground Sylvan pool with brick trim, flagstone patio and walkways, newer windows, garage doors, hardiplank siding and driveway. The interior of this home has been upgraded and customized with Formal Living Room with glass door entrance and fireplace, Stunnning Cherry Kitchen with granite island with raised countertop and oversized sliders to flagstone patio and pool, a sunny Breakfast Room/Dining area, open Family Room with fireplace, and sunroom with three walls of windows overlooking the beautiful rear grounds. The second floor features a Master Bedroom Suite with updated bath, three sun filled family bedrooms, and newer state of the art hall bath. This flexible floor plan can be suited to fit every lifestyle and makes this home the perfect place for entertaining and active family living. This home is centrally located just minutes from the towns of Malvern, Exton, Paoli, Wayne and the King of Prussia Mall for local shopping and dining, minutes from the Chester Valley Trail, and is within close proximity to all major highways including Routes 202, 76, 252, and the new turnpike slip ramp on Route 29 for easy commuting to Center City or the airport.